PetVille's getting into the St. Patrick's Day spirit by tasking players with finding four-leaf clovers in a brand new mini-game. 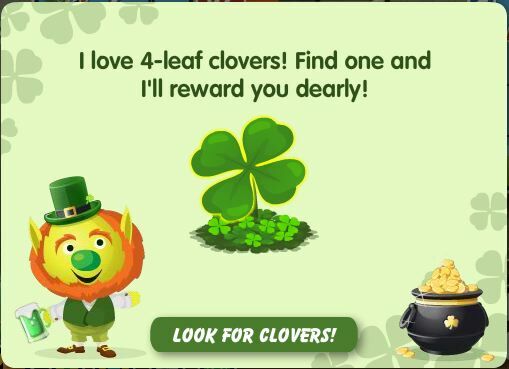 If you see a big green clover hanging around your pet's house, click on it and that will launch a game, and the goal of this game is to pick which patch contains the lucky four-leaf clover. You have three tries, and if you choose correctly, you will be rewarded with special St. Patty's Day loot. We scored a hilarious SPD Bonus Irish Hat -- a drinking hat that holds two green beers (straws included). 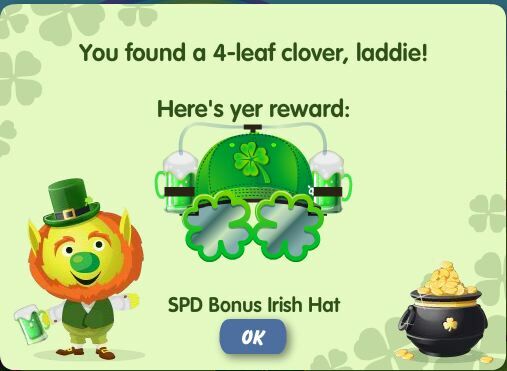 Others have found the following: a Clover Cake, Kiss Me I'm Irish balloon, SPD Bonus Mini Spats, Beverage barrel, green balloon with white shamrocks. a gold coin, and a pint-sized mug. 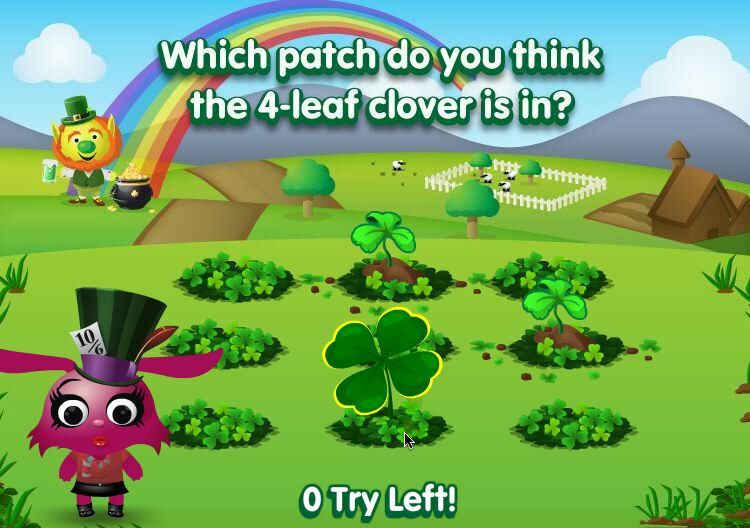 What items did you get when you found the four-leaf clover?